A Bible handwritten in Latin, on display in Malmesbury Abbey, Wiltshire, England. 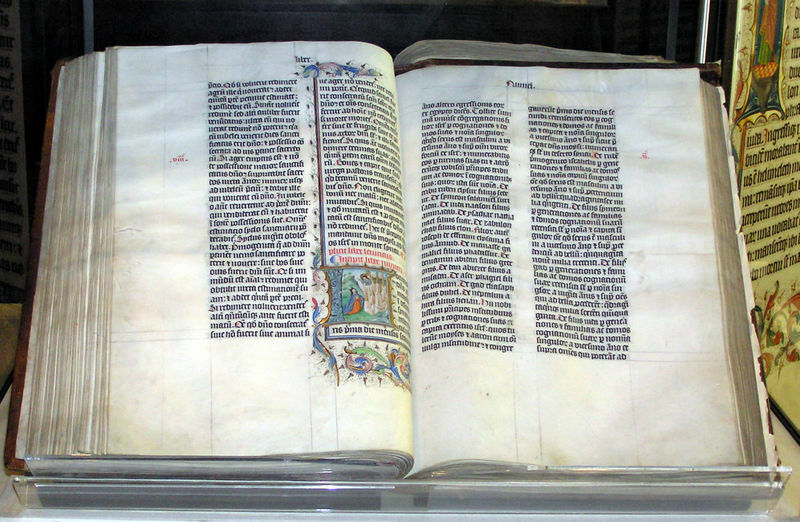 The Bible was written in Belgium in 1407 AD, for reading aloud in a monastery. Taken by Adrian Pingstone in February 2005 and released to the public domain. This image has been released into the public domain by its author, Arpingstone. This applies worldwide. In some countries this may not be legally possible; if so: Arpingstone grants anyone the right to use this work for any purpose, without any conditions, unless such conditions are required by law.